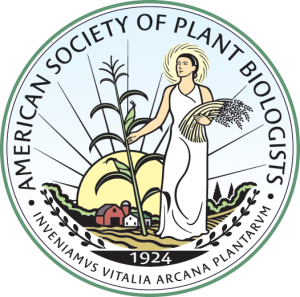 ASPB Ambassadors are early career scientists (students and postdocs) and industry employees enlisted to communicate the mission and vision of the Society to other plant biologists and to the general public, to help ensure the ongoing vitality of the Society. These young leaders engage their campus communities in outreach activities, represent ASPB at section conferences, and contribute articles to the ASPB News. They also provide a voice for early career members in the Society, often lending input on key issues. In recognition of the value of this program, a proposal to further strengthen it was approved for a one year trial, beginning January 1, 2019, and long-term adoption of these revisions after a successful trial is expected. This new program will double the current number of Ambassadors, and will provide additional leadership training and career development opportunities while maintaining the original purpose of outreach of ASPB’s mission to other plant scientists and the general community. Some of the enhanced features of the program include discounted registration to the annual Plant Biology meeting, free registration to an ASPB section meeting in exchange for help with ASPB recruitment activities there, leadership training, mentoring and more. View an expanded list of opportunities and detailed program description. The Ambassador program will become self-governing by a committee called the Ambassador Alliance, starting in January 2019. Officers for the first year will be appointed by the Membership Committee, but will be elected by Ambassadors after that. The Ambassador program is open to members of ASPB who are students, post-docs or work in Industry. Ambassadors must complete at least 2 activities to encourage people to engage with ASPB and/or to communicate the importance of plant sciences, such as ones described at the link below. In addition, they must complete a leadership training (1-hour webinar or similar training) and provide a 1-2-page report at the end of the year. View a more complete description of the program and the application process. For more information on the Ambassador program, read the Ambassador By-Laws.